The use of gold nanomaterials in electrochemical biosensing has been proven to be effective either by modifying the electrodes’ surface or by labeling molecules. The combination of dendrimers with gold nanomaterials is a worthwhile alternative to create a suitable environment to immobilize enzymes. In this paper, we report the development of a thin film composed of gold nanorods (AuNRs) and poly(amido amine) (PAMAM) dendrimer generation 4, which was applied for biosensing. The film was prepared by drop-casting the dispersion onto a screen-printed carbon electrode (SPCE), and tyrosinase (Tyr) enzyme was further immobilized onto the modified electrode. The direct electron transfer (DET) between the enzyme and electrode surface was verified through cyclic voltammetry (CV), yielding an apparent heterogeneous electron transfer rate constant of 0.045 s−1. Analytical curves were obtained by chronoamperometry for catechol (CAT) and dopamine (DA) with linear ranges from 2.8 to 30.3 μmol L−1 and 27.8 to 448.7 μmol L−1, respectively, and detection limits of 1.0 μmol L−1 for CAT and 10.0 μmol L−1 for DA. 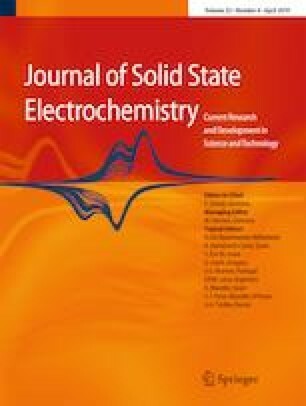 The improved electrochemical properties of AuNRs-PAMAM-modified SPCE combined with the effective enzyme immobilization led to a promising electrochemical device to detect phenolic compounds. The online version of this article ( https://doi.org/10.1007/s10008-019-04247-z) contains supplementary material, which is available to authorized users. We thank Dr. Valéria Spolon Marangoni for providing the gold nanorods and Dr. Henrique Antônio Mendonça Faria for the atomic force microscopy images obtained at the CNPEM, Campinas-SP, Brazil. We gratefully acknowledge the Brazilian funding agencies FAPESP (2015/19099-2) and CNPq (444150/2014-5). This study was financed in part by the Coordenação de Aperfeiçoamento de Pessoal de Nível Superior - Brasil (CAPES) - Finance Code 001.